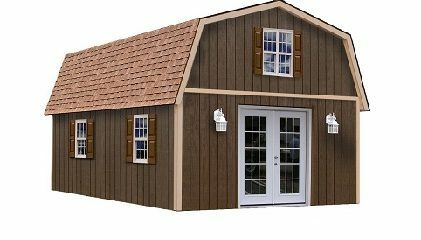 Great DIY cabin kit or starter home – The Richmond DIY cabin kit provides storage, a great workshop, a second home or getaway cabin or whatever your needs may be in a large building. This is NOT a pole building. Built like your home wall studs are 16″ o.c. with 7′-5″ ceiling. Featuring a clear span second floor with 7′-1″ headroom.